Hip and happening, vibrant and buzzing, Bristol has it all, from fine dining restaurants and Michelin starred eateries to little local gems with private dining rooms and event spaces to hire for special events, corporate entertaining and personal celebrations. Check out our list of not-to-be-missed destinations below. The strikingly restored Sugar House boasts four private dining rooms alongside its 40 bedrooms: The Balfour Private Dining Room for 72, Le Pin Private Dining Room for 36 Seated, The Lanson Private Dining Room for 12 and Christies Library and/or the Janneau Bar for 100 as a standing reception. Offering their classic bistro style, simple yet deliciously seasonal food throughout, they can also arrange informal wine tastings to accompany events. Canapés are 3 for £7.50 or 4 for £9 per person, while there are three set menu options: Classic at £37.50/ Premium at £42.50/ and Prestige at £55. Josh and Holly Eggleton’s multi award-winning country pub has three areas for semi-private parties catering for 8, 20 and 30 guests or 60 for exclusive use of the whole pub. With all menus using as much produce from their own gardens and local producers as possible, the brother and sister duo can offer everything from 3 courses to a 10 course tasting menu, as well as a canapés for standing receptions. With a Michelin star since 2011 and ranking 2nd in the Estrella Damm Top 50 UK Gastropubs in 2018, menus cost from £45 per person and there’s a minimum spend and variable deposit required depending on the time and date of event. The Ivy Clifton Brasserie offers two private rooms: The Eastern room for 12 guests on one long table; (24 standing) and The Western room for 16 guests on one long table (32 standing). Rooms boast natural daylight as well as local artwork and period drawings mixed with impressive chandeliers, parquet flooring and leather chairs. Both rooms are available for breakfast (from 8am to 11am), lunch (from 12pm to 5pm), dinner (from 6pm to midnight) as well as drinks and canapé receptions. Guests can choose from the a la carte menu. This Michelin starred tapas restaurant has 30 covers and offers exclusive hire for 8 at the bar or 22 over three tables. Ideal for private dinners, there’s a minimum spend, variable room hire and deposit of 50% in advance. The frequently changing menus combine traditional tapas with personal interpretations from Michelin starred Chef Peter Sanchez-Iglesias. Event menus are bespoke, an extended version of the chef’s menu with flowing tapas tailored to each client. There’s also a fab sherry list as well as great cocktails. This 2AA rosette harbourside restaurant made the Sunday Times’ Top 100 & offers fine dining in a relaxed atmosphere. With space for up to 28 guests as an exclusive hire, the terrace can also be used for pre-dinner drinks. Menus are seasonal with spend per head around £55 for an 8 course taster menu (£42 per person for 3 course a la carte). Canapé snacks and petit fours are included. There’s a minimum spend of £2,500 and deposit of £500. Our top tip: It’s a great spot for gourmets and foodies looking for inspiration as chefs serve the food, providing lots of description and advice. This multi-award winning casual Italian eatery is open from breakfast to dinner evolving throughout the day from buzzy brasserie serving light lunches to a more intimate bistro feeling in the evening with extensive regional Italian cuisine and a cracking Italian wine list. Set on two levels, the street level can host up to 20 people on a long banquette seating and offers the outside for reception drinks, while the lower mezzanine level can set up to 36. Groups of 10 or more are offered a reduced a la carte or set three courses for 27.50. Pre-orders on food are preferred for large parties – particularly for brunch. For large groups £10 per head deposit is required and there’s a minimum spend on Friday nights and all day Saturday. Known to locals as ‘The Kenny’, this foodie pub in the heart of Redland scooped Best Gastropub in the Bristol Good Food Awards 2018. It offers The Blue Room with a kitchen table and cosy wood burner that seats up to 14 making it ideal for family get togethers. For larger events, The Mustard Room seats up to 30 and boasts its own private bar area, large TV screen and sound system. Both rooms can be combined for groups of up to 50 – making a great space for parties. A set menu or five course tasting menu with a wine flight are available, as are buffet, nibbles and more casual dining options for drinks receptions. This lovingly restored Lido offers its terrace for sit down events up to 36 guests or 50 for a standing reception with views overlooking its outdoor pool. With a modern and accessible take on Moorish and Mediterranean dishes, the restaurant also has capacity for an exclusive sit-down meal for 100 or a standing reception for 150. Menus range from three canapés at £10 pp (4/£12.50 pp) with a minimum order of £300, a cold selection at £20 /£25 pp, a hot and cold selection at £25 /£30 /£35pp, a reduced 3 course à la carte menu for up to 20 people for £37.50 pp or sharing menus from £37.50 / £47.50 / £57.50 pp for a 3-5 course meal. They can also arrange a cake selection for £3.50 per person. This Michelin starred restaurant prides itself on dealing directly with farmers, gardeners and fishermen caters for private functions for up to 30 guests. Private functions are offered a variety of set menu options. Three course menus, five and seven course tasting menus and wine pairing meals are all available from £34 for lunch, £58 for dinner and £45 for wine pairings. It’s worth noting – the restaurant is closed Mondays & Tuesdays all day & Wednesdays lunch as if chef/patron James isn’t at work, then the restaurant doesn’t open. This local gem hosts hordes of birthday parties and personal celebrations. Available for exclusive hire for up to 30 guests, the set up also allows for smaller parties of 12 or 20 to take half the restaurant. Menus continue the restaurant’s sharing meze plate style and there’s a set price lunch or dinner menu for £22.50/£27.50 respectively which include ice creams and sorbets for dessert which can be upgraded to pudding or tart for £5 extra per person. Other menu options include bespoke creations, the ability to add in wine tastings, order special beer or extra entertainment. There’s a variable minimum spend for lunch and dinner depending on party size, although for early and late bookings they just charge a menu price per person. Situated on this prime waterside location, The Pump House has a mezzanine for up to 66 guests or can be hired exclusively. Marquees can also be arranged for larger parties. Often used for dinner parties, celebrations, corporate events, weddings and receptions, guests enjoy tailored menus from chef proprietor Toby Gritten. With two private rooms for 18 and 30 guests, Piccolino offers a great combination of modern and classic Italian dishes, including fresh pasta, all prepared from the open kitchen. 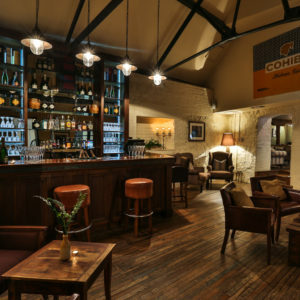 Located in central Bristol, it’s ideally situated for all manner of events from celebrations to private parties and business meetings. The private dining room for 18 on the first floor has floor to ceiling windows facing onto Castle Park, while the mezzanine can seat private parties of up to 35 people and can accommodate specialised seating arrangements, standing receptions and networking events. There are also screens available for business meetings as well as a heated terrace and cocktail bar.